* Bill Noren has over 25 years playing and teaching experience. * Edmund Baer has been teaching for over 20 years, and is a graduate of the Golf Academy of America. Our full service driving range is open from 9 AM – 8 PM Monday thru Saturday (9 AM – 5 PM Sunday) and is lighted for your convenience. You may elect to hit from our artificial turf mat area, which provides you with an assortment of tee heights in order to practice with all of your clubs. You may also hit from a designated grass tee area if you so choose. Golf World provides full-service club fitting, re-shafting and full golf club repair services on premises. Club regripping service is always ready the next day, or while you wait if you need them FAST. We carry a great selection of the latest most popular grips from Winn, Golf Pride, and Lamkin, all at great prices! So get a ‘grip’ on your game! 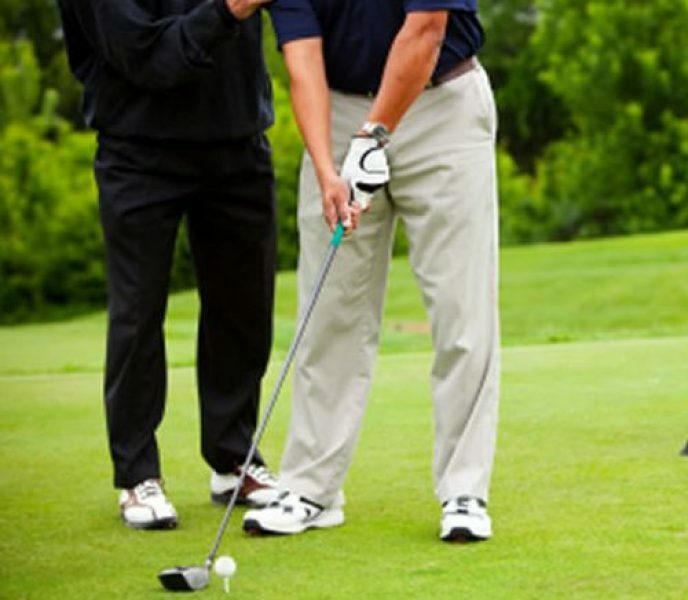 Our Professional Teaching Staff can help you with your swing in a relaxed, informal atmosphere at affordable prices! We offer one-on-one personalized instruction as well as group lessons and clinics. A little instruction can go a LONG WAY in lowering your scores, and you can practice under our watchful eye any time you like! Our Discount Pro Shop hours are from 9 AM to 5 PM EVERYDAY! Golf World offers the Largest Grass Tee Practice Facility in S.W. Florida! On hot days, you can practice from under our covered pavilion.